Is there a possibility to migrate Outlook 2003 to Outlook 2007? 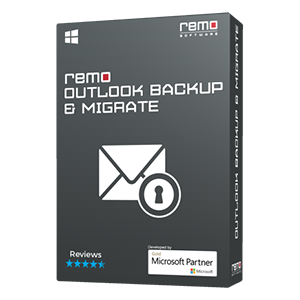 Migration of Outlook (Outlook 2003 to Outlook 2007) is extremely easy with REMO Outlook Backup & Migrate! Outlook Migration is one of the versatile features, which helps you to move or duplicate your Outlook client if in case you are looking for Windows and/or Microsoft Outlook upgradation. Migrate Outlook is a way to move Microsoft Outlook files from one environment to another. 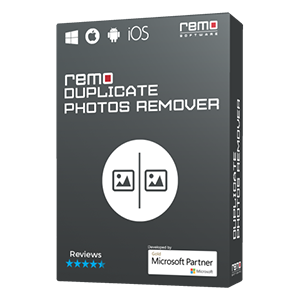 To move files from one account to another or from one machine to another, install REMO Outlook Backup & Migrate Software on source drive as well as destination drive and backup your Microsoft Outlook from source drive. To transfer or migrate your Outlook profile to destination drive, you can use either USB drive, CD/DVD or a mapped network drive. Why choose Remo Backup & Migrate? Upgrade Operating System, Microsoft Office, or both. Its neatly crafted, simple to use interface accompanied with intuitive descriptions makes REMO Outlook Backup & Migrate software a complete solution for all your backup Outlook needs. Step 2: You will see Migration option window where you need to select further options, In the Window shown in click on Browse button to “select a backup file”, which you need to migrate. Finally, enter the password in the security check box (if you have secured backup file earlier with a password) and then click on “Next” button to proceed. Step 3: Once the Migration process is over you would be able to view process summary. The summary will be displayed in a window as shown in . This concludes the whole migration process. The migration process may not work if you are trying to migrate Outlook from a newer version of Outlook to an older version (E.g. Migrating Outlook 2007 to Outlook 2003). Outlook migration may seem easy with Outlooks import and export option. But this option does not allow you to migrate your Outlook entirely. It leaves behind essential attributes like signature, notes, calendar etc. Remo Outlook migration helps you overcome this problem. Read here to learn more about complete Outlook migration process. When your Outlook PST file goes corrupt, it will deny access to all Microsoft Outlook attributes including contacts. However, it is as much important to retrieve your contacts as your other emails. Remo Repair Outlook PST helps you recover your contacts along with other Outlook attributes from a corrupt PST file. Read below to learn more. Deleted Email Recovery from Outlook You delete a mail and realize after many days that you need it badly? As the mail has disappeared from your mailbox you won’t get access to it until you retrieve it. When you face a situation like this you need the help of Remo Repair Outlook (PST). It helps you to recover deleted emails from Microsoft Outlook. Learn more about retrieving deleted emails. When the boot sector of your hard drive goes corrupt, it will keep throwing an error message indicating failure to load the operating system. With a non-functional operating system, you won’t have access to your data. The data can be accessed only if it is recovered from the hard drive. 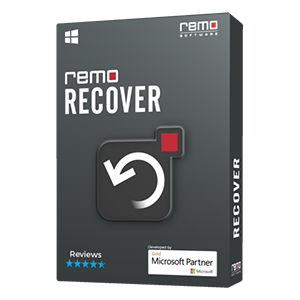 Remo Recover helps you recover data from your hard drive when your system faces a disk boot failure. Accidental deletion of files from USB drive is quite common. If you need to recover the deleted file from your USB drive you can use Remo Recover software. Read more to learn how to retrieve deleted files from USB drives.